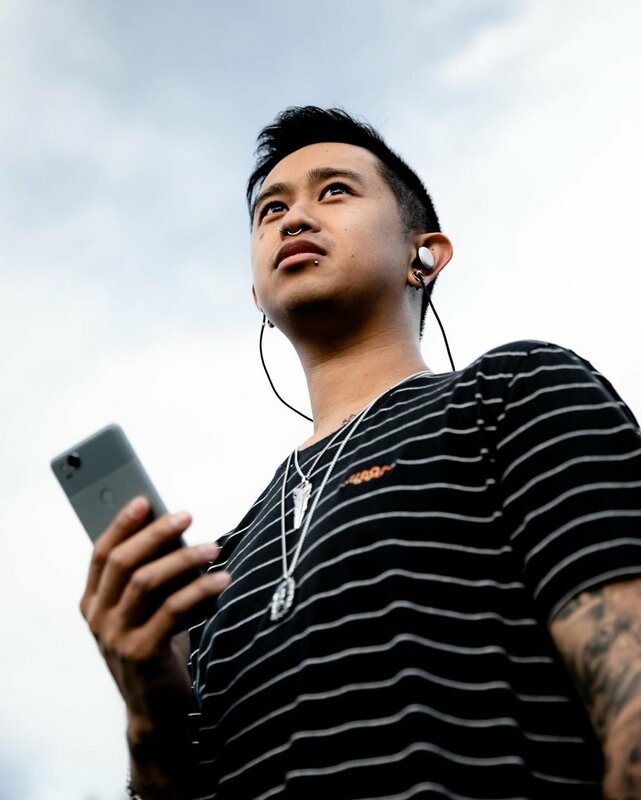 Francis Kenneth (@franciskenneth) started out as one of our all-time favorite influencers, but he’s now our super-star account manager on the West Coast. In addition to his casual cool charm, he brings one-of-a kind insights as someone with experience on all sides of influencer marketing. We’re always asking him what’s important to influencers and how to make their experience with us awesome, and our influencers love his practical tips on how to dominate the influencing game. 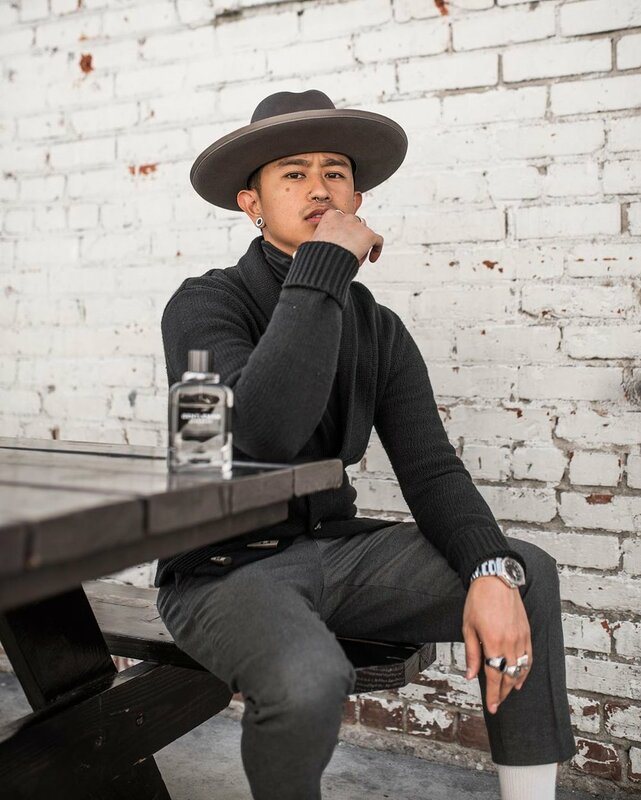 This week, we were lucky to have the whole West Coast team visit our office here in NYC, so I got the rare experience of sitting down with FK in person to soak up his sage advice and laid-back vibes. First off, can you tell me where you’re from and how you got started as a social media influencer? I was born and raised in LA, and I’m based there as well. When I got started with this, about five or six years ago, I was dating a photographer/talent manager. She said, because I loved dressing up and writing, I should start a blog. This was around the time that Instagram came out, so I didn’t really think much of it. I was posting outfits and writing about my everyday life off and on. Fast forward to a year later, Urban Outfitters DM’d me and and said “Hey, we’d love to work with you. Let’s chat.” And that’s really how I broke into this whole idea of collaborating with brands as a- quote unquote- influencer. So we did that collab, and they reposted my photos. Again, this was a long time ago, and Instagram was pretty new. Overnight I had a couple thousand followers, just through cross-promotion. That’s impossible these days, the exposure and the algorithms are completely different. But that’s what really kicked off this career as a content creator. I’ve been hustling, networking, going to events, posting every day, and creating as much content as possible ever since. Most influencers don’t consider themselves influencers. How do you define yourself and what you do? I prefer calling myself a hyper-creative, because my skill set and my experience go so far beyond getting photos taken of myself. Before I started, I did photography. Before my blog, I was a stylist. I do music. I can direct. I can do a lot of different things. To say that I’m an influencer is acknowledging that I’m a self-proclaimed influential person. It is what it is. If I can inspire someone to do something or wear something, or whatever the case may be, cool. But at the end of the day, I’m doing this as a creative outlet. If people are affected by it, then cool. If not, then also cool. When I started early on, it was very dapper menswear type stuff. I was at a point in my life, coming out of the military, where I was wearing uniforms every day, so I really wanted to step it up. At that time, I was also watching a lot of Mad Men, so I thought suits were the way to go. I started buying suits really stupidly and dropping a lot of money on them. I didn’t wear suits growing up. I went through different phases from the rap, hip-hop, basketball culture, to skate-surf in middle school and high school, It was kind of an amalgamation of all those things. After I got out of the military I thought it was time to dress like an adult, but as years went by I thought “This isn’t really me.” But it was definitely a key element to evolving my wardrobe. Now I’d say it’s a good combination of streetwear and menswear. I tell people on my blog it’s “where the suits meet the streets” or I’ll call it “street-smart casual.” Because it’s unique enough to be in both fields. I get bored very quickly, so it’s fun to mix it up. How would you describe your Instagram aesthetic as different from your personal style? It varies, depending on locations, I’m able to shoot five looks in a hour. But typically speaking, I’ll just go around downtown or the outskirts of downtown. Every direction you look is different. Stylistically it varies too. I could wear a suit downtown and it makes sense, but I could also wear streetwear and it makes sense. I don’t particularly like to smile in my photos. It’s very serious. I let the clothes or the environment smile for me. What advice would you give to someone who is just starting out and trying to develop their own aesthetic? Aesthetic is all about who you are and what you do. A good rule of thumb is to stick to colors that you really associate with and perhaps are conveniently located nearby. Downtown is very gray, muted tones, not a lot of colors. Whereas, if you’re someone who lives by the beach, you could have a ton of blue, or if you live in mountains a lot of greens. Something that speaks to your everyday life but is also consistent on your feed. That’s the the number one key tip that I could give: consistency across everything that you do. So with aesthetic, it’s just sticking with this theme and trying to edit your photos in a way that looks consistent. When you start doing too many things, it just looks random and not cohesive and curated. Again, Instagram has changed a lot since I first started. It’s a lot harder to gain a following. I don’t think I’ve grown at all in the last year. If anything, I’m probably losing followers at this point. But I think to start, again, it’s consistency. Consistently posting every day at the same time. You have to treat it like a TV show, where you know what time and day it’s going to be on. So it’s the same thing. Not just engaging with your followers, but other influencers in the space. I would say each post, and your IG in general, should be treated like a store. If someone comes in and says, “I love this photo” or “I like this outfit,” in a store you would say “Thank you” and you would greet your customer. I’m not saying that followers are customers per se, but in a way they kind of are. So be consistent with engaging with your followers and other influencers, because those other influencers are the ones you’re going to be constantly running into at events. So it’s good to establish a rapport, and a lot of influencers do have secondary jobs. More times than not, they work for another brand, or they work for a PR agency, or they know someone there, so it’s a good networking thing as well. That leads me into my next question. What have you learned since making the transition to the business side of influencer marketing? I’ve learned a lot of things for better or for worse. I’ve been in the influencer marketing agency space for almost four years now. The craziest thing is how, for lack of a better word, ignorant influencers are about the business side. I don’t blame them, because it is a very new thing and to think that it’s even an option as a career is crazy. But you do have to treat it like a job, even if it is just a passion or a creative outlet, because you are representing not just yourself but other brands in these collaborations. I feel like influencers are little celebrities, where they act like divas in a way and expect the world, but don’t understand that there’s another person on the other side of the computer that has a job to do. It goes both ways. Influencers do get abused, for lack of a better word, for what they do. But I think all this is because it’s all new and people are just trying to get a feel for what works and what doesn’t. Is there anything else you want to say to our aspiring influencers? Go to studio.obvious.ly for all your collaboration needs! In all seriousness, if there’s any advice I want to give, or if there’s anything you should take away from this conversation it’s: don’t do it for the followers, don’t do it for the free stuff, don’t do it for the recognition. Do it because you want to share your lifestyle, experiences, and whatever creativity you have. Because at the end of the day, that’s all you’re going to have. Instagram may die and these brands may not want to work with you anymore, but if you’re doing this because you legitimately are passionate about what you’re sharing, that’s all that matters.